British death metal/grindcore band Carcass have announced on their Facebook page that they will play their first ever show in India at BIG69 metal festival in Mumbai, slated to take place betweenÂ January 17thÂ and 18th. 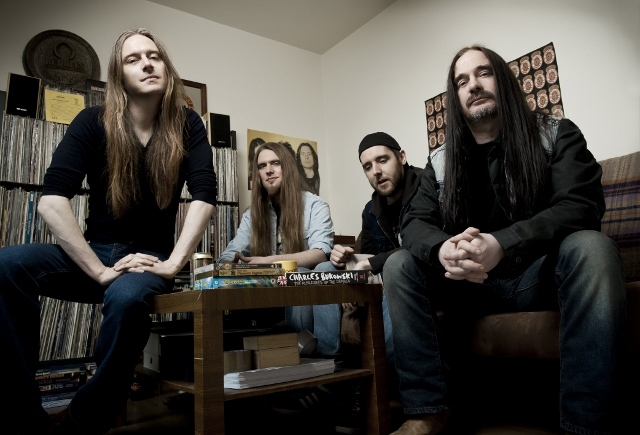 Carcass, who reunited after a 12-year period in 2007, released their sixth full-length album,Â Surgical SteelÂ in 2013, to make one of the biggest comebacks in metal last year. In November, the band releasedÂ Surgical Remission/Surplus SteelÂ EP, comprising previously unreleased material from the album recording sessions. Carcass are best known for their 1993 albumÂ Heartwork, which is widely-recognized as the most influential melodic death metal release. Currently, two founding members remain in the band â€“ bassist-vocalist Jeff Walker andÂ lead guitarist Bill Steer. While the bandâ€™s original drummer/vocalist Ken Owen returned as a guest vocalist onÂ Surgical Steel, Swedish drummer Daniel Erlandsson [from melodic death metal band Arch Enemy] joined in 2007, alongside fellow Arch Enemy member, Michael Amott, on guitars. Both Erlandsson and Amott left Carcass in 2012 to concentrate on Arch Enemy, who are now touring with veteran metal guitarist Jeff Loomis. Carcass has now roped in drummer Daniel Wilding [formerly of death grind veterans Aborted] and guitarist Ben Ash for live duties. Carcass joins Italian tech-death band Fleshgod Apocalypse, UK prog metallers SikTh and grime metal band Hacktivist as international headliners for BIG69 in Mumbai, which is also slated to include one last special guest addition to its lineup. Indian bands performing at the two-day festival include extreme metallers Demonic Resurrection, old school metal band Kryptos, Delhi groove/technical metal band Undying Inc, Mumbai death grind band Gutslit and more.